Be part of Il Volo's Notte Magica World Tour! 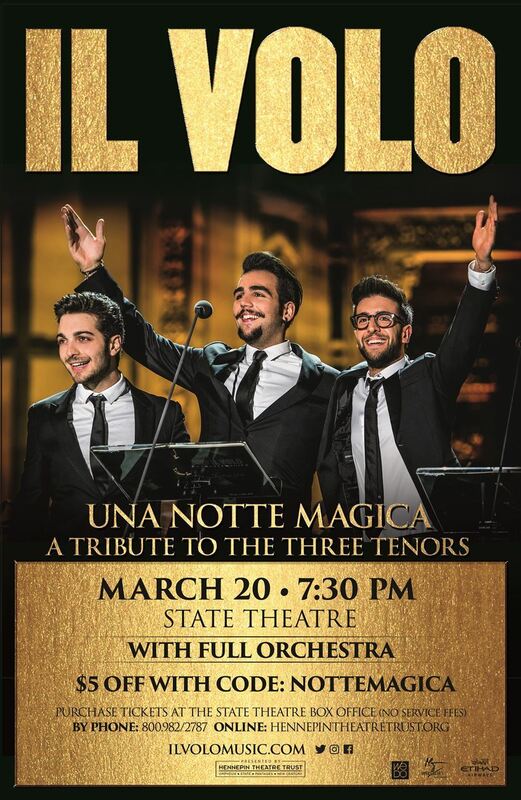 Backed by a full orchestra, the young Italian operatic trio Il Volo will perform classic arias made famous by the Three Tenors. The three performed as teen solo acts in 2009 during a televised Italian singing competition, and one ended up winning the finals. After that, they were finalists for Italy in the 2015 Eurovision Song Contest, and have toured extensively since then while releasing six albums, and delighting crowds all over the world. The group includes Piero Barone, Ignazio Boschetto, and Gianluca Ginoble.